This is a very powerful and unique expereince. 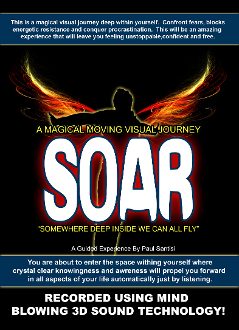 Heighten all your senses are you are guided along into an amazing visual journey into yourself. Confront fears, blocks, resistence and conquer procrastination. This will be an amazing experience that will leave you feeling unstoppable, confident and free.